SAGA Publishing, 2010. 96 pp., 38 color illustrations, 11x8½". Change is descending upon an otherwise quiet, unhurried, unobtrusive, place. The main highway, U.S. Route 17, that bisects South Carolina's 'lowcountry,' is being widened to accommodate commerce, tourists, and urban refugees. Not only are many homes, some historic, disappearing before the tracked blades of expansion, but also the newer, faster thoroughfare encourages greater disregard and obliviousness to the charm and culture the basin harbors. Each book is numbered and signed by the artist. 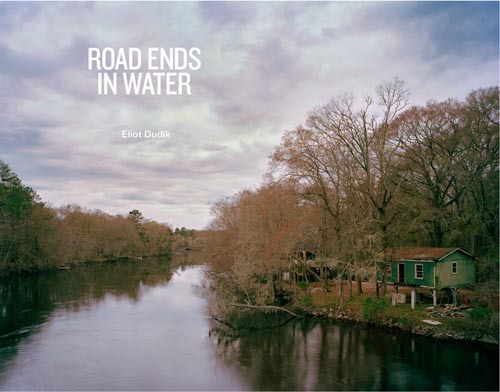 Read Tom Leinigner's review of Road Ends in Water in photo-eye Magazine.